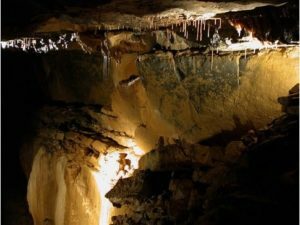 Based in The Burren National Park, the brilliantly strange Aillwee Cave is a great place to spend an hour or two. The Cave consists of weird caverns and oddly-shaped formations and is also home to a Bird Conservation Centre and a Visitor’s Centre. The area has been used to breed and care for endangered red kites and vultures. Contact us today to find out more about tours with stops to this fabulous natural monument. 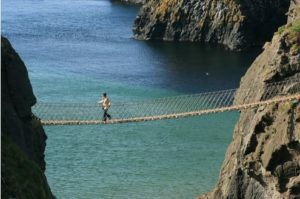 Linking the tiny island of Carrickarede to the mainland of Ireland, this famous rope bridge is perfect for adrenaline junkies and curious people alike. The bridge is one of the lesser-known things to do in Ireland but is definitely worth a walk across for the stunning views alone. Belvedere House is a stately house and gardens situated in Mullingar, Co. Westmeath. 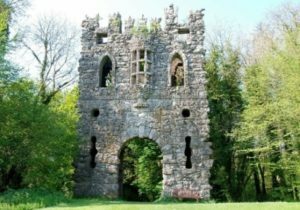 The House is rich in history, featuring interesting sites such as the Jealous Wall and the shores of Lough Ennell. The gardens also offer an adventure, rambling through trees and flowers to find swing-sets and streams. Nestled in the halls of Trinity College, Dublin, the Long Room Library is a breathtaking stretch of books and culture. The Library is home to marble busts, historic artefacts and relics, and over 200,000 books and documents. 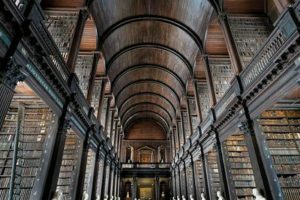 A tour of the Long Room Library is one of the more cultured things to do in Ireland on a short break away. Glasnevin is a sprawling cemetery situated in Dublin. 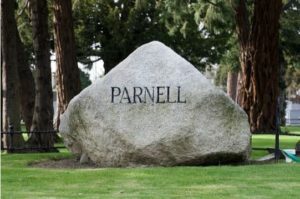 The cemetery is the final resting place of hundreds of famed Irishmen and women, including Michael Collins and Charles Stewart Parnell. Tour mausoleums and learn more about Irish history through the extensive and modern on-site museum.